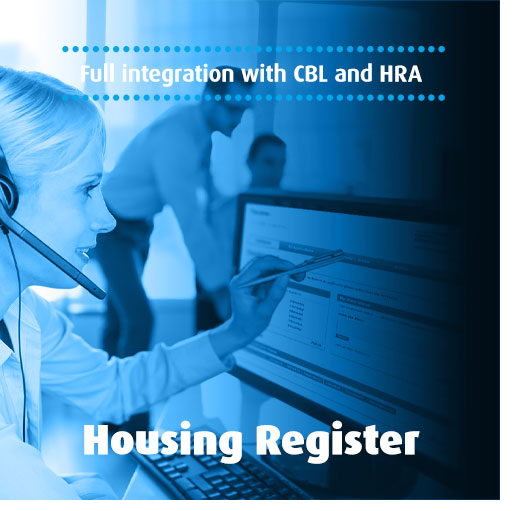 Our sophisticated Housing Register system provides automated renewals, efficiently reviews and verifies applications based on a simple customer self-service model. It benefits from a built-in Report Builder, where you can extract the most from the data input and generate easy in depth-reports for easy analysis. Our Housing Register model can also be fully integrated with our Choice-Based Lettings solutions and the Homelessness Reduction Software, hope, to increase mobility and opportunity for applicants. Common housing registers are designed to provide a single common approach to sub-regional partnerships and landlords working together. Customers only need complete one form to apply to numerous landlords and also provide advice and information on all housing options available. We have developed a range of common assessment processes for consortia landlords. Recently launching the largest multi-landlord common register in the country housingmoves. The Mayor of London through the Greater London Authority (GLA) commissioned Home Connections to deliver a common housing register and London-wide mobility scheme to cover all 32 London boroughs, the Corporation of the City of London and all of London’s registered providers. The scheme called housingmoves offers 5% of social housing relets in London for tenants who wish to move to a different borough. Applicants are prioritised according to under occupation (downsize into a smaller property), employment need (for work or training), or to care for a family member or friend. The service provides seamless integration with Mutual Exchange schemes. In 2016, we launched a pilot Common Housing Register for Glasgow City Council and 66 RPs. Our superior online forms technology has enabled a 100% online registration process for this scheme. - We believe a well-organised form is easier to understand and use effectively. - Our web forms use various techniques to make using forms simple and accessible over the web.